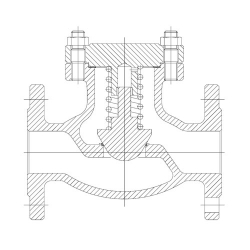 Piston check valves are also called lift check valves. 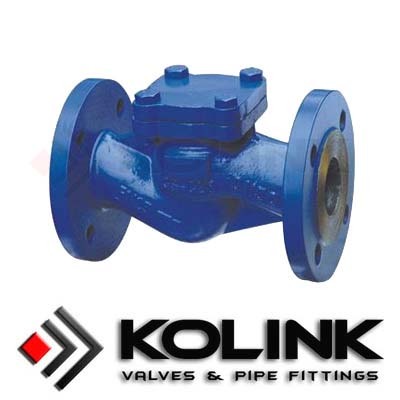 They are essentially globe valves without the stem and top works, allowing the disc to respond to flow rates and direction. The disc has linear movement and is typically body-guided with conical seating surfaces. Springs can be added above the disc to provide more closure force when the disc returns to its closed position. Some manufacturers include externally attached equalizer piping to increase the disc opening with lower flows. The equalizer pipe is an open-pressure communication device that maintains equal pressure above the disc and in the piping downstream of the disc.